Hold that Pose (film) Goofy cartoon; released on November 3, 1950. Directed by Jack Kinney. 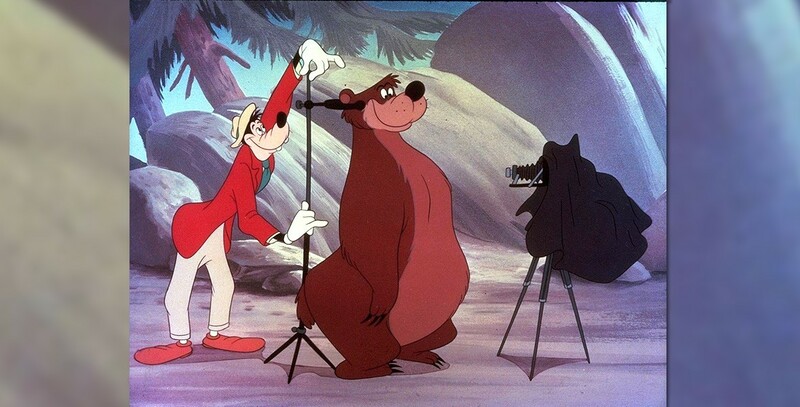 Goofy buys photographic equipment for his new hobby and eagerly goes out to find a subject which turns out to be a bear. But he so angers the bear with the flash apparatus that it chases him back to his apartment.